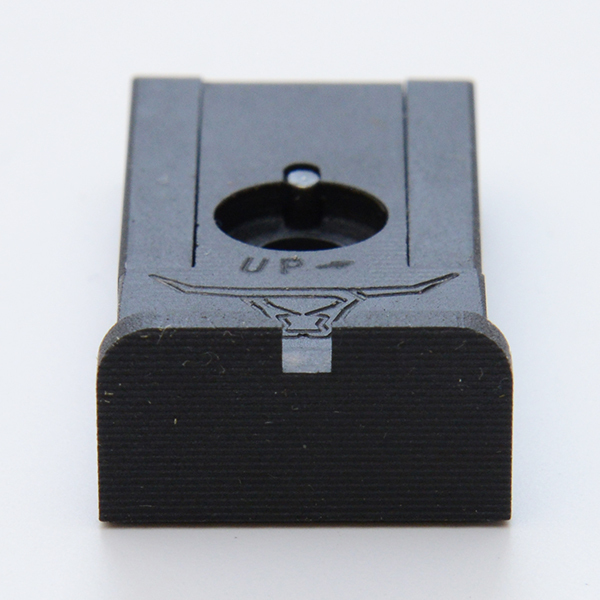 The Brazos Top Notch adjustable rear sight is the ultimate sight for competition shooting because it allows you to customize the sight picture to best suit your shooting style and abilities. We offer the sight with several different size notches in widths of 0.090”, 0.110", and 0.130". Or go with no notch cut at all if you prefer to cut your own notch for truly custom sizing. Select the notch size based on the width of your front sight and the percentage of the rear notch you want that front sight to take up. A winning combination is the Brazos Custom Lightning Rod MannyDot front sight with 0.070" wide post and our narrowest Top Notch rear sight with 0.090" wide notch. 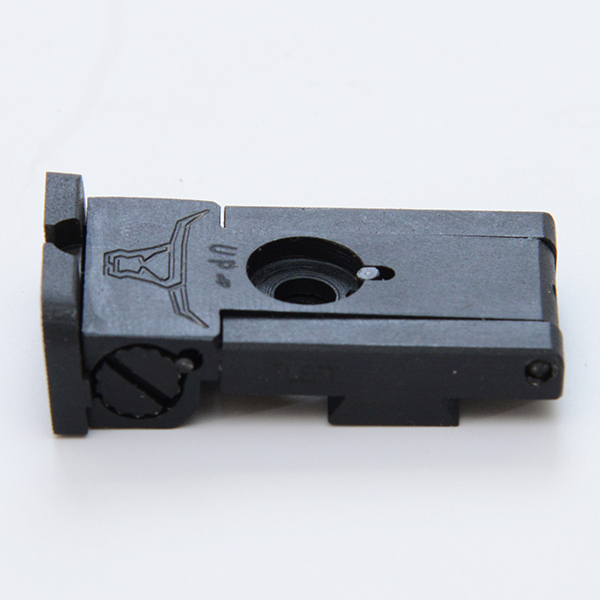 The Top Notch adjustable rear sight has a serrated, no-glare blade. With smooth precision 3/16" adjustment at 25 yards your windage and elevation adjustments lock in and won't shoot loose. The dovetail on this sight is slightly oversize to allow for precise fitting into either a standard size BoMar style dovetail cut (60-degree X 0.359) or an LPA/TRT style dovetail cut (60-degree X 0.375). 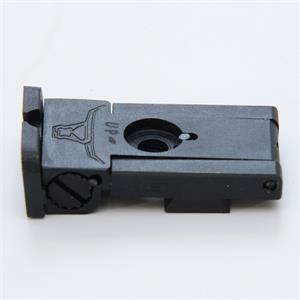 You will find that many guns with an adjustable rear sight use a BoMar style dovetail. However, in the last few years STI has switched to using LPA/TRT sights for their adjustable rear sights. To determine which sight is on your gun, look at the elevation screw on the sight. On Bomar style sights, the elevation screw goes into slide behind dovetail. On the LPA/TRT sight, this screw goes into dovetail. If the elevation screw lines up with the dovetail then it is an LPA.